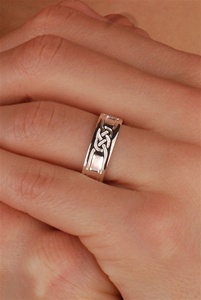 Solid Sterling Silver Ladies Closed Panel Knotwork Celtic Wedding Ring. Excellent Quality. Made in Dublin, Ireland. This is an authentic Celtic Wedding Ring made by master artisans.